Welcome to my new bloggie! It's a new beginning! Food and Yoga for Life is my new nook on the web for sharing food, yoga, and life with you. I'm so excited about it. - I've received a lot of emails from people who say they enjoy my dessert recipes but they want more dinner/savory recipes. I've been thinking about sharing more savory recipes too so this was a confirmation. 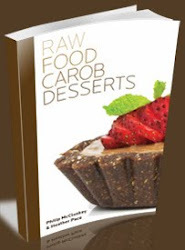 - Since I want to share more savory recipes but am no longer a vegan (post about all of that HERE), I want to post recipes that are both raw/vegan, vegetarian, and paleo, yet I want to keep Sweetly Raw a raw dessert blog. - The other passion in my life is yoga. I've been a yoga instructor for 6 years and have been practicing for about 12 years. I thought about sharing more of this on Sweetly Raw, but again it just didn't seem to fit so here is the perfect spot! - I want to share thoughts about life and spirituality because there is more of me that you don't see on my food blogs. So what will you see on Food and Yoga for Life? - Lots of recipes! 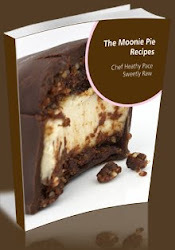 Savory cooked and raw vegan, vegetarian, and even a few recipes containing meat. 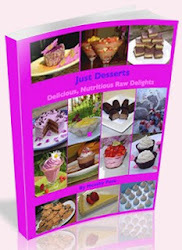 Cooked gluten free vegan dessert recipes too. 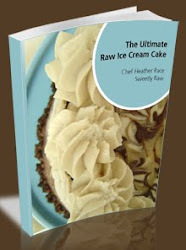 Only raw vegan desserts will be posted on Sweetly Raw. - My travels and personal life will now be on here instead of SR.
- Maybe some product reviews of my favorite things. - Your ideas! What do you want to see on here that ties in with my theme? In the spirit of Autumn and pumpkin goodness, I came up with these gluten free, vegan, pumpkin blondies for a tasty afternoon snack. 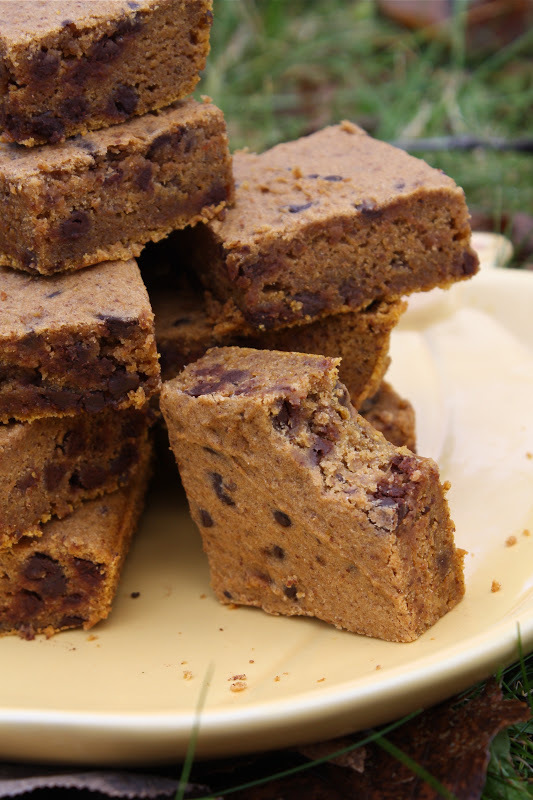 They're dense, chewy, moist, and yummalicious. Oh and best of all they're super easy to mix up and pop into the oven! In separate bowl whisk together all wet ingredients. Add the dry mixture to wet and mix together until evenly combined. Spread into a greased 8x8" pan. Bake in 350F oven for 20-25 minutes. (I baked mine for about 22 mins. I give a big window because all ovens are different). A toothpick will come out clean. Make sure all ingredients are room temperature to allow easy mixing of the coconut oil (so it doesn't cease when mixed with cold ingredients). I used raw almond butter in these - roasted might change the flavor slightly but will work just fine. Try coconut sugar instead of sucanant. I hope you'll give these a try. And let me know if you can think of anything you'd like to see on this new blog! So glad you started this new blog. 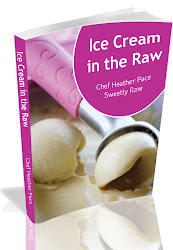 I'm not a sweets person, except on a rare occasion, but I've enjoyed reading your sweetly raw blog recipes. Look forward to reading AND trying out your varied recipes. I think you're my first subscriber then Amber! Yay! This looks amazing! But my boyfriend HATES coconut anything. Even if I use the smallest amount of coconut oil he can taste it. Is there anything I can use instead? Reba, you can try to replace it with grapeseed or canola oil. Olive oil too strong tasting. Haha my dad is the same way. He won't take a bite out of anything that I've put coconut into. 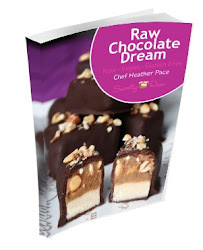 I have to say I am a lot more interested in this blog, since moving away from the idea of completely raw although desserts are scrummy your new blog sounds like it will incorporate more of my own beliefs too, yoga, nature, all foods. Look forward to reading. Heather I love this new site. I need your help. When you us nuts in your recipe can you give us an alternative/sub for nut or nut butter? Hi Rhonda, You're the 3rd person this week to tell me they can't eat nuts! I will soon be posting a pumpkin cheesecake with nut free filling (you can just do crustless), and raw veggie wraps that are nut free... will post more nut - free. Some things may not be vegan, is that ok? Heather non vegan is ok, thank you I look forward to seeing these nut free recipes. Hi! Really love your blog! Can't wait to make these bars for my boys....they look delish!! Just wondering, is the rice flour in the recipe brown rice flour??? Thank you so much yoga momma! 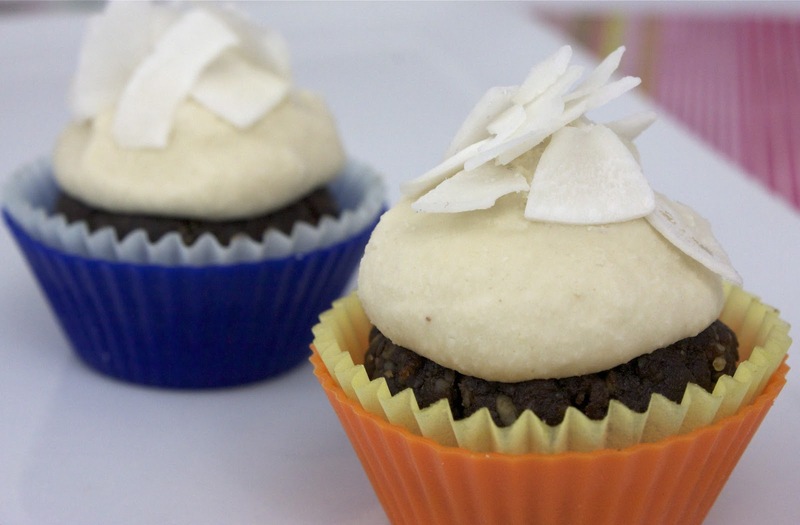 :) You can use either brown rice flour or regular rice flour in this recipe. I used regular rice flour because that's all I had - can't get brown in my town but since the post I went to the city and got some! Really looking forward to some yoga posts! Videos would be great! I've just started doing yoga in the last year or so, and I LOVE it! That's so awesome Lisa! What kind of yoga have you been doing? I've been thinking about doing videos! This is great! I'm a yoga instructor too but I haven't found many yoga teacher blogs. I'd love posts about teaching! So cool! Do you talk much about yoga on your blog? What style of yoga do you teach? Always nice to meet other teachers. Im off to check out your blog! I can't wait to make it up myself on a cool fall day. We hope you'll share more with us this week! Heather, I love you new blog! Oh, I loved the old one too! I can't get enough of your genius! You have inspired me to a whole new level of health and wellness for me and my family! Thank you so much! Can you help me out with a source for irish moss. I live in Utah and will have to order it online. I've looked at Amazon and all the options are so confusing--whole moss, flakes, powder, etc. I don't want to buy the wrong thing and I don't want to freak my family out! I absolutely love this blog idea! It is perfect for my lifestyle. I too experienced problems with a predominantly raw, vegan diet. And I find I do best when I add a little meat/animal protein and some cooked foods. I also LOVE yoga! I do it everyday! I would love for you to post some yoga videos and also maybe recommend any videos that you think are great for an intermediate practitioner? I use DVDs instead of attending classes, and I have bought several that were just not up to par. Also, maybe throw in a few recipes that are quick and easy for those of us who are always on the go? Thanks Heather! You are awesome! I really loved your old blog but your new one is even better! You do yoga a long time & I am just a beginner. I do gentle flow 1X/ week & love it. I have chronic pain & it helpes me & gives me a lot of energy! 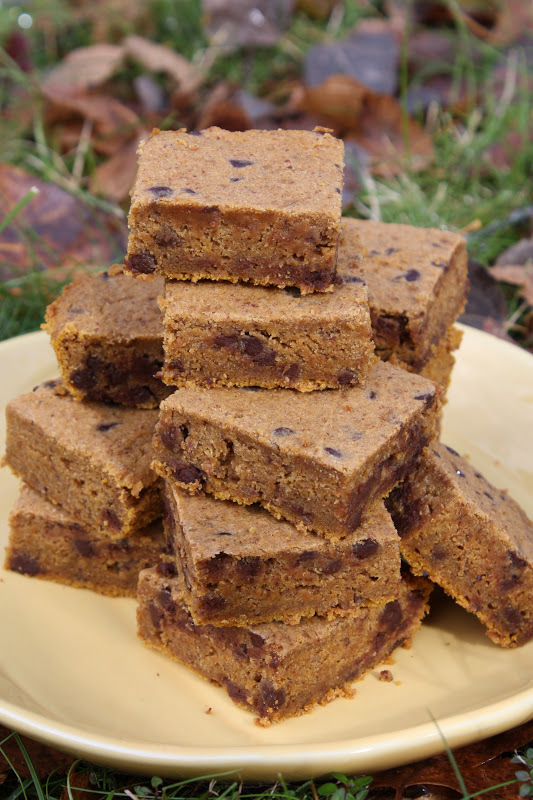 I have made these pumpkin bars & they rocked my taste buds: ooh yeah! Many greetings from a foodie from belgium that cooks, bakes & eats vegan 5x/week! :) I blog about it too! Thank you so much Sophie! That's so wonderful that you do yoga to help your chronic pain. 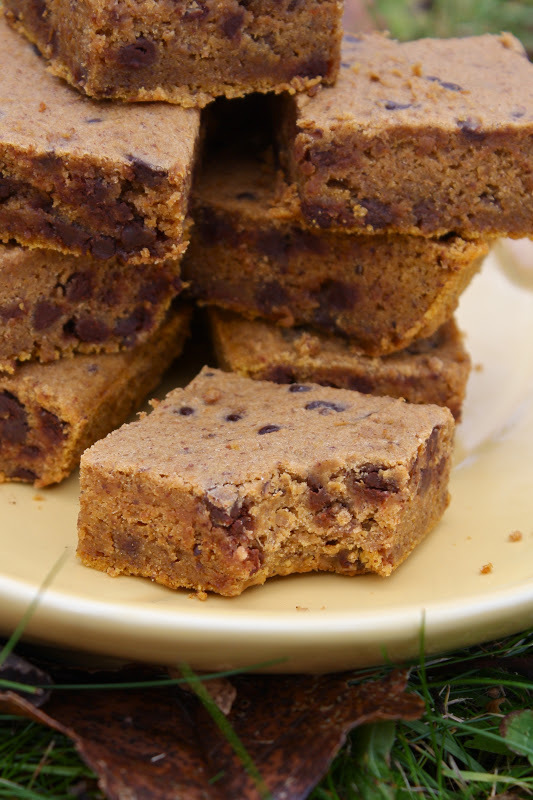 Glad too that you made the pumpkin bars and enjoyed :) Yay! Will check out your blog. I've been to Belgium before for an exchange when I was a teenager. Beautiful country!